It is months after the SuperBowl but I wanted to share and recap my memories on one of the biggest events to hit Houston, Texas this year since it was last held here in 2004. I may not have been on the “established” level that I wanted to, however I was still privileged to work for companies that gave me access and experience for what is to come. One of my goals is to be a top entertainment event planner, which is why I made it a priority to work and volunteer during the 2017 SuperBowl LI Experience in Houston. From working my day job at the Hotel & Lodging Association of Greater Houston and leaving there to work another shift, I thought I would be #TeamNoSleep! However, with good time management and what seemed to be the perfect work schedule, I was able to enjoy the festivities while also getting paid. 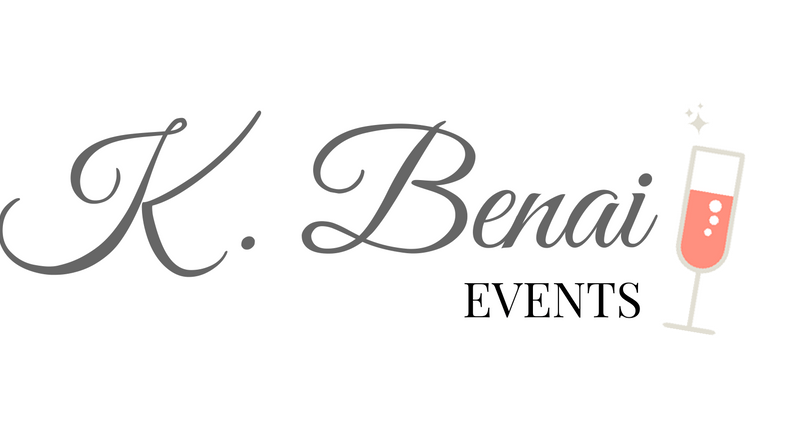 Let’s just pray that the next time Houston hosts the SuperBowl, K. Benai Events will be more than a household name. Check out my week recap below!…. First Day of Volunteering at the NFL Experience and SuperBowl Live held at Discovery Green and the George R. Brown Convention Center. It was a 10-day experience including local food trucks and local performances by Houston artists. The Houston SuperBowl Commitee hosted a party for all of the media coming into Houston since they would be too busy to partake in festivities during the end of the week on Tuesday, January 31, 2017. Food was catered by City Kitchen Catering. On Wednesday, February 1st, I took the day off (from one job) to enjoy the Super Comedy Bowl Explosion! Thanks to the CW 39 Houston for my free tickets that I won on Facebook. I enjoyed hearing jokes from comedians Rickey Smiley, Michael Blackson, Earthquake, Billy Sorrells and Tony Roberts. The event was hosted at Texas Southern University’s HP&E Arena. I made it to the Houston Power Party thanks to Ms. Sabrina Patrick (Chic Soiree Weddings & Events). On this day, I learned how to work well with a team and experience the cultivation of an event from beginning to end. Sounds by DJ Hi-C, DJ Kid Capri and DJ Supastar filled the museum and created a fun atmosphere for the young professionals. What a long day it was and all I remember is getting home at 4am! On Day 7, I actually had the day off and explored the NFL Experience and SuperBowl Live with my father – which as you can see is a huge Cowboys fan. The George R. Brown convention center was filled with NFL paraphanelia including displays of the Lombardy Trophy, past SuperBowl rings and tickets, autograph signings and entertainment for all ages. The night of the Rolling Stone Live: Houston party will be my most memorable. As much as I wanted to somehow get into the Maxim party in Sugarland, I couldn’t pass up seeing #bae, known to others as notable rapper Nas! The party was sponsored by Budweiser and included performances by Big Sean, Nas and a surprise appearance from Busta Rhymes. I’ll always remember bending over to pick up a broken glass and looking up to see Odell Beckham stare back at me in my eyes (thank God for morals!). Other celebrity appearances included Jerome Bettis, Ezekiel Elliott, Chef Gordon Ramsay, Anthony Anderson, Chanel Iman, David Schwimmer and plenty more. I did not get home until 5am that night/morning and was scheduled to work at the Reliant Center for the SuperBowl PreGame Party for Sunday, February 5th at 8am. Needless to say, I overslept and did not make it to the center until after 12pm. At that point I felt any job should be thankful I showed up and I guess they were becasue I was put to work immediately. I served in the pregame party and enjoyed every minute however, I knew that my body was winding down and needed a break. To sum it up, that week was filled with many great experiences and memories. I can’t wait to share these stories with my children (if I ever decide to have any). I also can’t wait to plan and attend events similar to these! Next PostNext How important is your Event Budget?